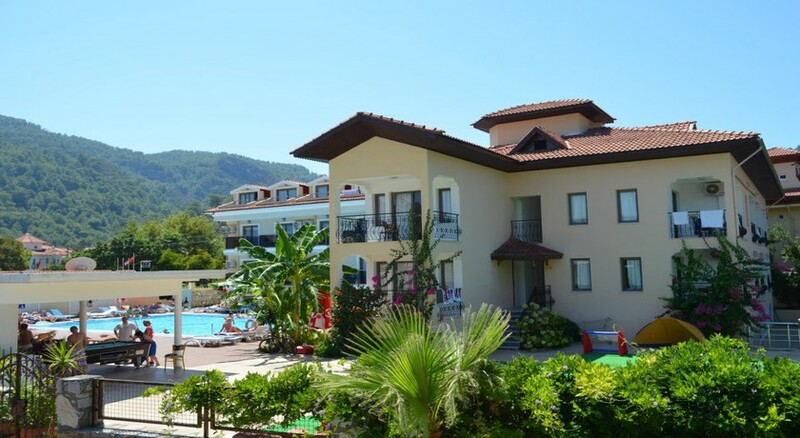 Located in old town Iclmer on Turkey's southwest coast, Bilnur Apartments offer affordable self-catering accommodation suitable for families and couple alike. The apartments are conveniently situated in a quiet area of the resort, with pine-covered mountains in the background – a real walker's paradise – and the beach and shops, bars and restaurants less than one kilometre away. Bilnur Apartments provide great access to Iclmer's attractions, including its wide beach offering a great selection of water sports. Guests who want to enjoy a relaxing day at base have plenty to keep them occupied. There are two outdoor swimming pools, one just for children – who also have a playground to keep them entertained. There's also a sun terrace complete with loungers and umbrellas, an outdoor snack bar with a large screen television, an a la carte restaurant with weekly barbecues and a mini market. Other handy services include free Wi-Fi, laundry and dry cleaning and a 24-hour reception.